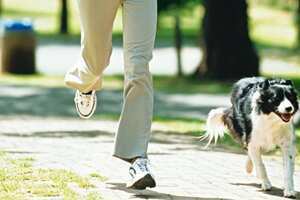 Ideal: Try a walk-jog-run training regimen. The most fundamental rule of running is to “keep miling and smiling". If you aren’t having fun, you’re doing something wrong. You need to reassess the situation, and put that smile back on. The best thing about running is that you can be as competitive as you want, but the benchmark for improvement should be against your previous performance, not the people around you. You should gradually increase the distance and intensity of your workout, not try and rush things. There is a natural gestation period for everything. Be sensible, don’t try to take short cuts because injuries will catch up with you and eventually affect your training schedule. If you are a first-timer, it is advisable to start with a brisk walk; over 20-30 days, this should be converted into a walk-jog combination. Keep in mind that the walking interval should be longer than the jogging interval. To start with, it could be 5 minutes of brisk walking followed by 1 minute of slow, easy jogging. Repeat this combination four-five times. There may be some out there who tell you that you’re not running the whole distance. But in case you’re running for the first time, walk breaks help you catch your breath and recover and finish stronger. During the 2005 London Marathon, Paula Radcliffe took a break to visit the loo at the 35km mark and still won the race by clocking 2 hours, 17 minutes and 42 seconds, the third fastest time ever for a women’s-only marathon. After the race, Radcliffe said, “I was losing time because I was having stomach cramps and I thought I just need to go and I’ll be fine." Sometimes, an easier method can help you maintain overall better speed for the race distance than people who start off the race by sprinting. This is particularly important for people who have a higher chance of getting injured while running: for instance, the elderly and the overweight, people who have been sedentary since they left school, or people who are just low on confidence level. So two of the most important reasons for walk intervals are: 1) They help build up endurance without putting the body through undue strain; 2) they help people recover completely from the preceding jog interval. Since the run is broken into smaller intervals, it helps boost the confidence of people new to running, convincing them to push a little harder without getting injured. For any training plan, whether it be 10km, a half or full marathon or an ultra marathon, it’s important to focus on only one thing at a time, whether it be time on feet (time spent on feet while walking, jogging or running, irrespective of the distance covered in that time), distance or speed. I always tell people relatively new to running to focus first on “time on feet", without bothering too much about the “distance" they have covered or their “speed". This actually applies to everybody. For it goes back to the basic rule of smiling. Time on feet is applicable even to your longest runs, because it’s important to just keep moving for a certain duration to safely improve your endurance. You’ll notice a lot of people doing very well for the first 21km, then suddenly blowing up (unable to continue at the required pace due to overexertion) and taking double the time for the last 21km. Remember the hare and tortoise story!